This is the moment we have all been waiting for… the first proper look at Toy Story 4! Our childhood is about to come back to life. In the trailer we see Woody introducing a brand new toy to the OG toys. Forky was made by Bonnie, who is the little girl who all the toys went to live with at the end of Toy Story 3. He’s made out of a plastic spork, pipecleaner, a lollipop stick, and play dough! In the movie, Forky, escapes from Bonnie’s house to spend his life in the trash where he believes he belongs…. 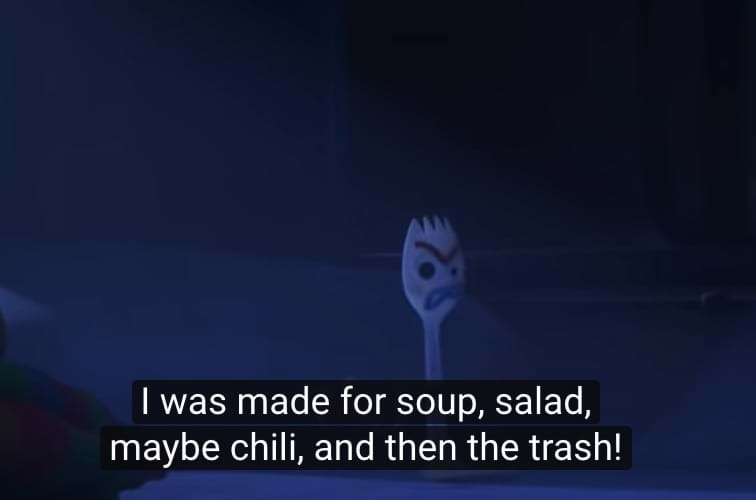 somehow we think that Forky may be the most relatable character in Toy Story ever. The OG toy gang then go on a very big adventure to find Forky and bring him back to the house with Bonnie. 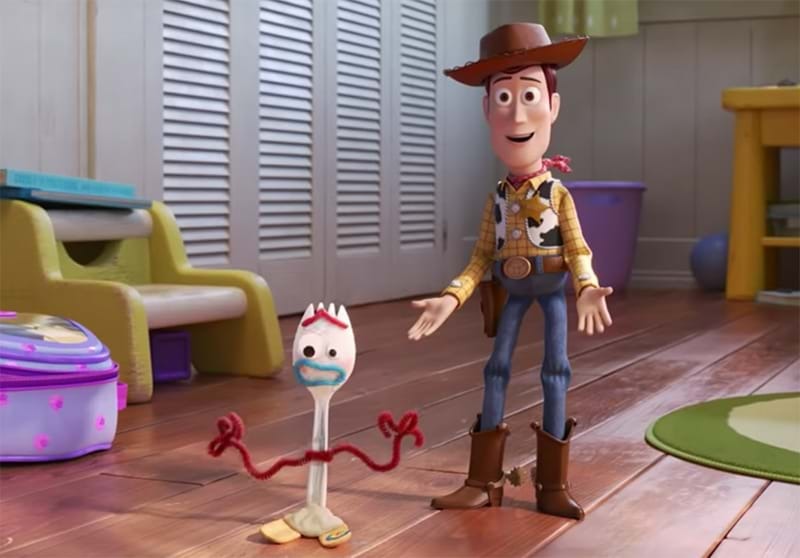 Of course, because it’s Toy Story, some things go wrong along the way and all the toys come to together to help Forky.